Thanks again to the Kru Talent team - Bollywood Fever went down a treat. Even though this was our inaugural year, we sought to deliver an ambitious event and feedback has been extremely positive. We have a strong platform on which we can build further looking ahead to 2016. Raj & Pablo are gentlemen and were a delight to work with. Very accommodating, fantastic with an audience and excellent hosts. 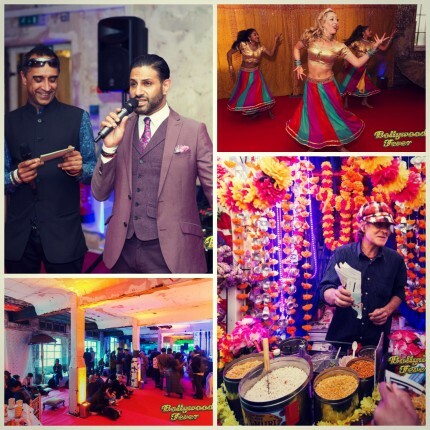 Over the May Bank Holiday weekend creative agency, Cellar Door created a Bollywood Fever event at Bargehouse, Oxo Tower Wharf. The three day event marked the agencies launch of their Bollywood events where guests had the opportunity to immerse themselves in the Bollywood experience with music, dance, films, art and food from the genre. Kru Talent have a strong existing relationship with the agency and were appointed to provide a celebrity host for the opening night of the Bollywood Fever event. It was crucial that the host had a strong social media following in order to create a buzz online around the novel event. Matching the brief, our corporate booking agent Jess Hardy delivered Raj and Pablo, BBC Radio Asian Network DJs. The charismatic hosts were ideal for the event as they know their Bollywood inside out and are keen social media users with over £40k followers on Twitter. The presenter duo’s role included welcoming guests to the event, hosting a panel discussion before the screening of ‘Bhopal: A Prayer for Rain’ and closing the launch night by facilitating a Q&A with the film director. he event further enriched Kru Talent’s relationship with Cellar Door.